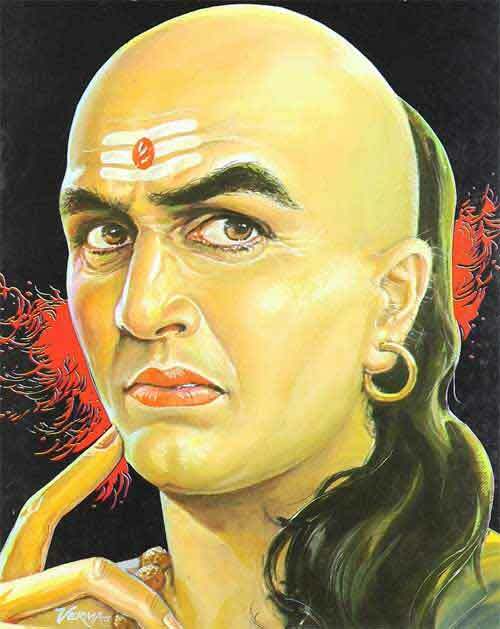 A collection of quotes and teachings from the Arthashastra of Chanakya. Desire is the basis of all activities. It is also the basis of procreation. Scriptures declare that what we desire, and are intensely attached to, before leaving the body, we will get it in the next life. By avoiding degrading, desires, we can avoid a degrading future. Ego is like a salt. It is necessary for taste, but repulsive if used in excess. Make humility sit on the throne of Ego. It produces dignity and decorum and results in success within and without. Pride, anger, arrogance, fear, and ego can never bring fulfillment in life. Never think that the other fellow is a fool. Be and behave with an open mind. Humility will give you good rapport. The energy which came from Space produced the world which is matter, and at the time of dissolution, the material world will again be re-converted to energy by Divine grace. Source of above quotes – Rishimukh Magazine issue Jan 2016 page 51. The observance of one’s own duty leads one to Swarga (heaven) and infinite bliss (Anantya). Whoever imposes punishment as deserved becomes respectable. For punishment (danda) when awarded with due consideration, makes the people devoted to righteousness and to works productive of wealth and enjoyment; while punishment, when ill-awarded under the influence of greed and anger or owing to ignorance, excites fury even among hermits and ascetics dwelling in forests, not to speak of householders. Restraint of the organs of sense, on which success in study and discipline depends can be enforced by abandoning lust, anger, greed, vanity, haughtiness and over joy.